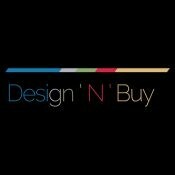 Short Business Description: Design’N’Buy is a top-notch web-to-print solution provider with expertise in offering custom web to print solutions. • It uses a clean approach and strategy. • It provides honest support to all clients. • It uses the latest Technology & tools. • It has flexible plans and the ease of customizations. • It gives Great ROI. All-In-One-Designer: B2C & B2B Web to print storefront solution for printers to take their business online. It comes with the most capable, intuitive and complete w2p software enable with eCommerce capability. It comes with a mobile and tablet friendly design tool making designing fun and easy. 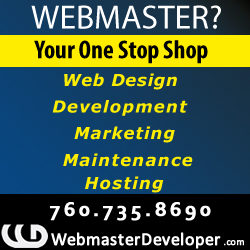 It is an HTML5 based design studio that meets all the printing needs. It also has a powerful back-office admin that allows you to build multiple online print stores from the central admin. PrintCommerce: Our PrintCommerce supports all eCommerce Platforms such Magento, PrestaShop, Opencart, nopCommerce and more. It is a perfect solution for product personalization integrated with eCommerce and web2print solution. It allows the printers to offer “Design It Yourself” features allowing their customers to order personalized products like t-shirts, jersey, caps, mugs, etc. Premium Marketplace Solution: Our premium marketplace w2p is a solution to build network on which you can bring the customers, print vendors & resellers, graphic designers, and service providers on this single platform. It has been built on Magento Community edition platform which is an open source and scalable as per your business requirements. Product Configurator: A solution that allows customization to let customers create their own design with option of color, material and color. With so many years of experience and research in product personalization they bring the new innovative, easy to manage & tailored solution for printing needs.